Gallstones are solid crystalized deposits that form from cholesterol and bile pigments in the gallbladder. There are two types of gallstones: cholesterol gallstones and pigment gallstones. Cholesterol gallstones account for 80 percent of gallstones and are usually yellow-green in color. 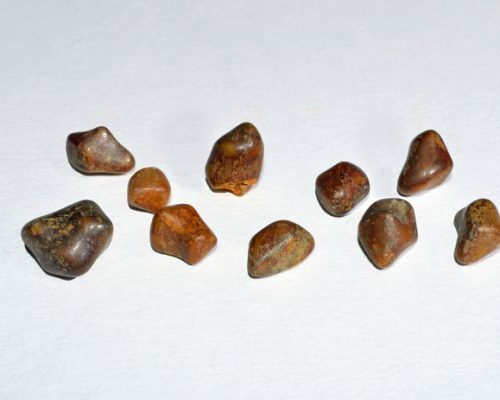 Pigment gallstones are small, dark, and made up of bilirubin. Gallstones affect approximately 20 percent of women over 40 and eight percent of men. They can contribute to infection, which needs to be treated with antibiotics, but natural treatments can be effective in managing gallstones too. Below you will find some natural treatment options for gallstones to help you relieve the symptoms and speed up the recovery. There are a variety of natural treatments for gallstones that you can try to relieve symptoms and help break down gallstones. Gallbladder cleanses: Conducting a gallbladder cleanse can help break down gallstones and flush out excess bile, which can contribute to gallstones. Although your body is intended to perform its own cleanses, there are things you can do to assist. For example, some people consume a mixture of olive oil, juice, and herbs for a few days. This isn’t recommended for people with diabetes or other health issues as it can be dangerous to live off this mixture. Always speak to your doctor prior to beginning any cleanse. Yoga: In one study, yoga was found to improve lipid profiles among diabetics. With lipids being a contributing factor to gallstones, improving them is a good prevention method. There is currently no scientific evidence to support that yoga can help remove gallstones, but it may help improve symptoms and it’s a good exercise to perform for overall health. Castor oil pack: This method is often used instead of a gallbladder cleanse. A warm cloth is soaked in castor oil and is then placed on the abdomen. There is no scientific evidence to support that this method can aid in gallstones, but it doesn’t hurt to try. Acupuncture: Several studies have looked at acupuncture as a treatment to reduce pain. There are small studies that show acupuncture may relieve gallstone symptoms and volume, but additional research is needed. It’s important that you see a registered acupuncturist that is aware of the proper technique. Diet can play a role in the development of gallstones. For example, a diet high in calories and refined carbohydrates and low in fiber can contribute to the condition. Here are some home remedies and diet tips you can use to help treat gallstones. Drink apple cider vinegar in water or apple juice to help relieve pain brought on by an attack. Apple cider vinegar also reduces cholesterol produced by the liver. It is believed that apples soften gallstones, and some patients will consume apple juice as a means of helping the gallstone pass. Avoid drinking too much fruit juice if you’re diabetic, hypoglycemic, or have stomach ulcers, as it can cause complications. Drink lemon juice, as lemons have been found to aid in detoxification and cleansing. Drink vegetable juice — not the premixed cocktail version, but pure juice from vegetables. Drink pear juice or consume pears. Pectin found in pears binds to cholesterol to help remove it. Drink moderate amounts of wine. A study found that those who drank two units of wine a day reduced their risk of gallstone formation by one-third. Studies have shown consuming coffee daily may help ease gallbladder problems. An alternative study found that men who consumed two to three cups of coffee a day had a 40 percent lesser risk of developing gallstones. Blending radishes with water creates a beverage that can aid in gallstones. This remedy works because it promotes bile flow and supports a healthy gallbladder. Avoid drinking large amounts of this though and stick to about two tablespoons a day. Cut down on fatty foods as it can trigger and worsen symptoms. It may also contribute to fatty stools (steatorrhoea) which are oily, pale, and smelly. Fatty stool suggests that fat is not being properly digested. Whole grains are a great source of fiber and fiber may help prevent gallstones along with reducing symptoms if you already have them. Furthermore, fiber helps reduce your appetite and aid in weight management. A study found that consuming saturated fat worsens your risk of gallstones and so consuming healthy fats, such as those found in nuts, seeds, and oily fish can help reduce your risk. Knowing the foods to avoid for gallstones is equally as important as knowing the foods to consume. By avoiding the below foods can help reduce symptoms along with preventing gallstones in the future. As mentioned above, you will want to avoid saturated fats that are found in red meat, sausage and bacon, whole-fat dairy products, pizza, butter and lard, and fried foods. Limit your intake of sweets, as it can increase your risk of gallstones and gallbladder disease. Studies have shown a significant link between refined sugar and gallbladder conditions. Eggs are often advised to be removed from your diet as they can be high in cholesterol, which can worsen gallstones. Furthermore, eggs are high in allergens and links have been found between allergens and gallstones. Dandelion: Historically, dandelion has been used for the treatment of bile duct problems. The bitter root may stimulate bile production in the gallbladder. You can drink dandelion tea, eat the greens in a salad, or have it with your coffee. Lysimachia herb: Also known as gold coin grass, this herb is popular in Chinese medicine as a remedy for gallstones. It has been shown to help with cholesterol-forming gallstones. You can get this herb in supplement form — either liquid or capsule. By implementing these lifestyle changes and natural treatments for gallstones, you can have greater success in preventing and treating the condition.